We speak to ceramicist Bridget Bodenham about opening up her studio for the Daylesford Macedon Ranges Open Studios event this weekend. Bridget Bodenham is sitting in a modified shipping container that serves as her studio, storeroom and makeshift gallery when we call. Peering out of a small window, she paints a verbal picture of a typical morning in her Hepburn Springs residence, made up of a Lego-like arrangement of 10 shipping containers spread over 20 acres in the bush, not far from the centre of Daylesford. It’s slightly overcast and just outside her window, her veggie patch and chooks are drinking up what little sunshine comes through. Bodenham’s sculptures take the form of domestic vessels, containers, objects and tools that are slightly less than ordinary. Her work evokes a sense of playfulness and an element of surprise. One theme running through her work seems to be a fascination with kitchenware and dining utensils. Most recently, Bodenham have been working on a series of soy sauce and wasabi container sets. The flower-like wasabi bowl has been carefully painted bright blue to contrast the soft green of the spicy condiment, while the surface of the soy sauce bottle is wonderful to the touch with a texture not unlike a pumice stone. 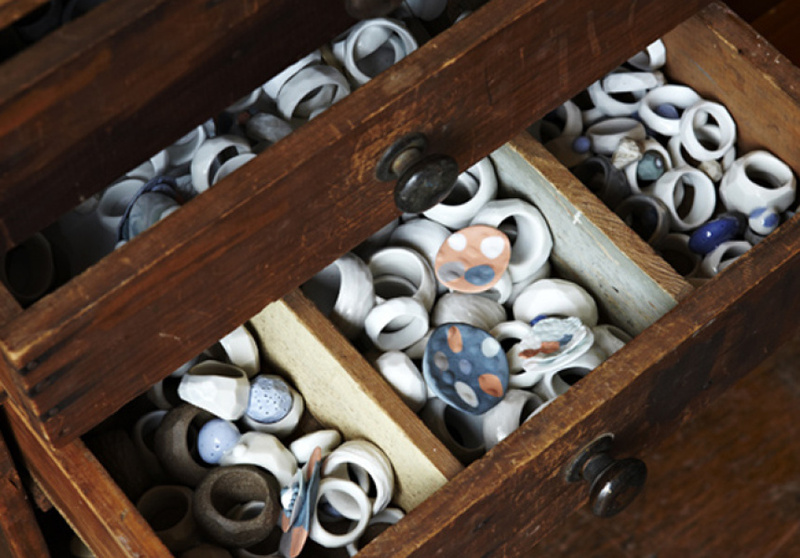 Part of what makes Bodenham’s work so distinctive is her attention to detail. Her work appeals to all senses and it’s partly what she loves most about her craft. Describing her work as an “intuitive exercise”, she says one of best parts about working with ceramics is how it allows her to experiment. “There is a playful element where I just try different things with my hands. My work is either done by hand or on the wheel but later manipulated by hand,” she says. Her range of work is also telling of the artist’s inclination to experiment. Aside from her kitchenware series, Bodenham has created a range of fine porcelain jewellery, macrame hanging plant pots, decorative tableware and a range of screen-printed linen napkins and tea towels. Bodenham attributes her beautifully simple aesthetic to the Japanese approach to objects that sees materials respected, partly because the artist and creator doesn’t always have control over it. 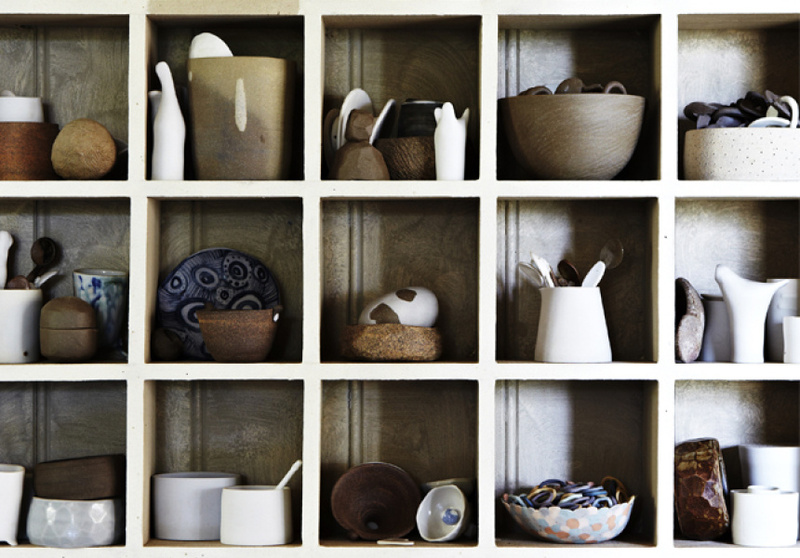 “It’s a very unpredictable craft really, you never know what will come out of the kiln. You can control the kiln to a certain extent, but things can come out looking very warped or distorted from the different environments in the kiln,” she muses. The topic of food continues to pop up later on in the chat and the artist mentions a habit of looking through cookbooks to see how meals would look on different kinds of dishes with different tones and textures. She also dreams of taking on the ultimate project: collaborating with a chef to create “the ultimate dining experience”. In a way, her fascination is not so much with kitchenware or food-related objects, but more with objects that she knows people will use, interact with and enjoy. It makes sense, then, that she’s opening up her studio to the public as part of the open studios event. “I think it adds another dimension to my work,” she says. “You can see where it’s come from and the context in which it’s been realised. And it’s lovely to meet people, because I sell mainly through retail outlets and I don’t get feedback from the people who will use my pieces,” Bodenham notes. With that, Bodenham ends the conversation with some of her own favourite weekend spots around Daylesford that she would recommend to visitors while they’re in the area for the open studios. 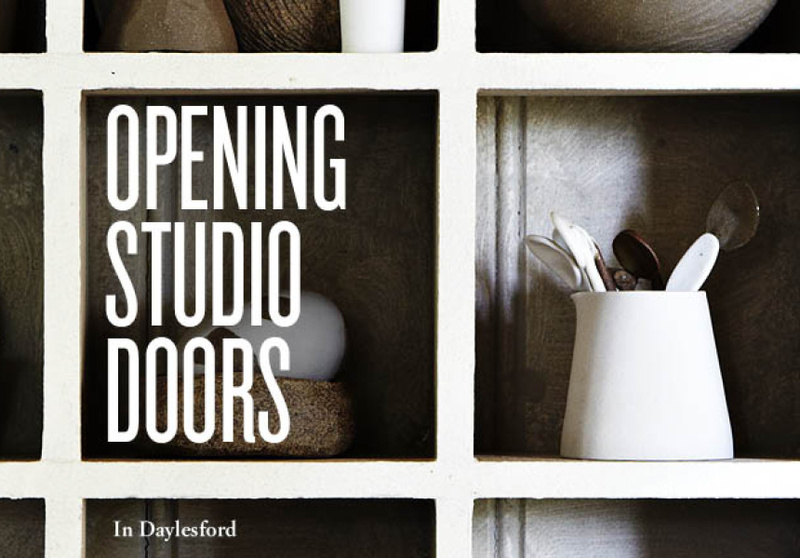 Daylesford Macedon Ranges Open Studios runs from November 3 to 11 in artists’ studios and gallery spaces around Daylesford.